Sparkling like champagne, the Gold Glitter Drink Ticket is a sweet solution for your New Year's Eve gala or any other fancy party. Whenever you're pouring, you can sell Drink Tickets to keep bar sales simple, or distribute them to reward your special guests. 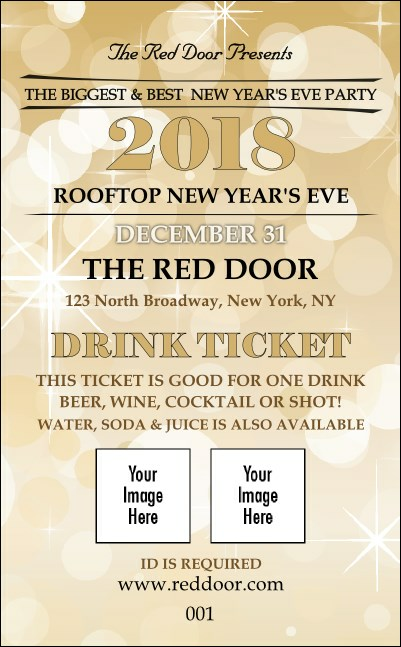 Add two images or sponsor logos to this ticket template.